It was inevitable that sooner or later Amara would end up needing to wear glasses. 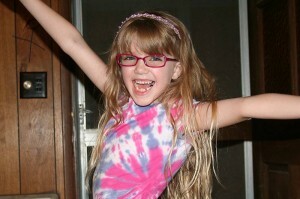 With the exception of her Dad, she comes from a long line of eyeglass wearers! Her Mommy started wearing them when she was about 4 so she wasn’t surprised when the doctor told her Amara needed them, too. It’s her right eye of course. Fortunately, she only has to wear them for reading and doing art and work up close. Her Mommy wore her's all of the time! Grandpa and I went over the night she got them to see how cute she looks — and she does. Once again I was reminded of how lucky we are that they only live a mile away and that we can do that! She is so excited about what all of her friends at school will say. 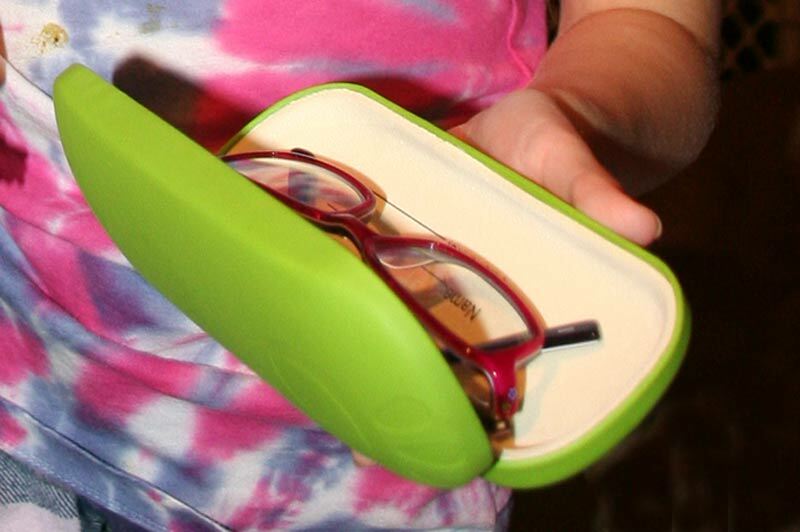 She showed us the awesome vibrant green case that she would keep them in, she was very excited and very proud. When we first found out she would need glasses she told me that “Glasses make you look extra smart Grandma.” I don’t know if the doctor told her that or she heard it somewhere else but since we all wear glasses I completely agreed with her! I even told her how when I was in 1st grade, that must have been a hundred years ago, that I didn’t wear glasses and I really wanted to. My best friend in 1st grade did wear them and she would let me borrow them. Problem was her prescription was very strong and I couldn’t see a thing out of them but I thought they made me look cool. Amara loved hearing the story. This memory was posted in Grandparents, Indoor Fun and tagged Amara, art, eyeglasses, friends, glasses, reading, school, studious on August 14, 2010 by Grandma Kc. She does look so cute in them!!! And very studious!!! I remember wishing I had to wear glasses when I was young too. Now I hate the stupid things!!! I love this story. It reminds me of my own daughter who started insisting that she needed glasses right after her cousin got them. I put her off for almost a year thinking it was a “keeping up” thing. 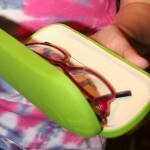 When I did finally take her to the eye doctor I was shocked at how poor her vision was. I still feel guilty about putting her off so long. Well Amara looks very pretty and SMART in those glasses! And since, two years later, she walked off with all those honor roll awards, you just know she was right when she made that comment about looking “extra smart”! What a cutie! Such a cute story and she does look AWESOME in them. It reminds me of when I was about 11 and my older sister’s new boyfriend was coming to the house for the first time. She told me I *had* to wear my glasses the entire time (which I didn’t want to do) because they made me look smarter and she wanted her boyfriend to think she had smart sisters. 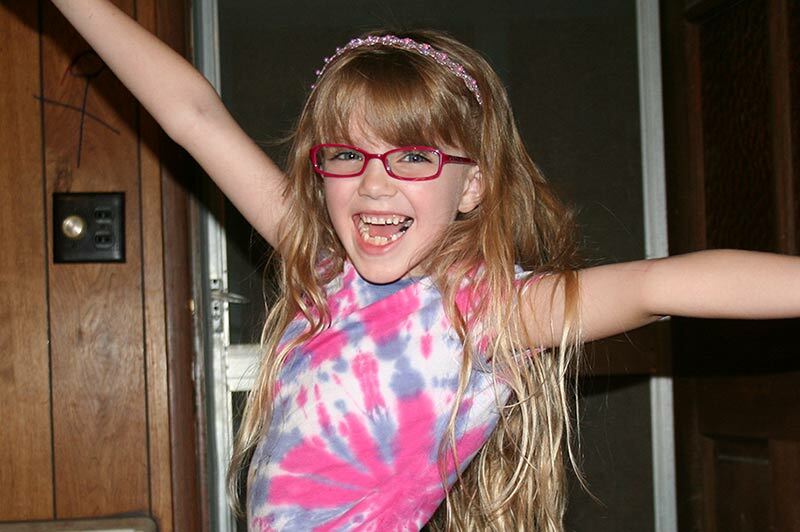 Sheesh… And yes, I wore the glasses, just for her. My 2 oldest kids thought glasses were the greatest things, and acually convinced me to take them to get glasses when they were pre teens. The doc prescribed them, but later I found out they had just ‘fooled’ us because they wanted them so badly. Expensive fashion acessories!